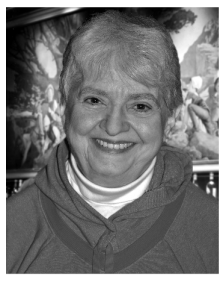 Rob Hand calls Diana K. Rosenberg “the leading authority on Fixed Stars.” She has spent the past 30 years researching the subject of Fixed Stars. Her primary interest has always been research and teaching, rather than the consulting side of astrology. Her preferred astrological techniques outside of the realm of Fixed Stars include Uranian Astrology (90 Degree Dial, Planetary Pictures, etc. 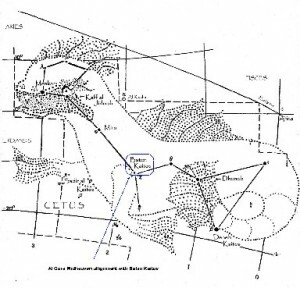 ), Derived Houses, Planetary Nodes, and Solstice Points. Her preferred astrological techniques outside of the realm of Fixed Stars include Uranian Astrology (90 Degree Dial, Planetary Pictures, etc. ), Derived Houses, Planetary Nodes, and Solstice Points. Diana has been a resident of New York City her entire life, while my residence in NYC spanned only 7 years, and I moved westwards in the USA in Feb. 1983. Our paths first crossed in 1982 when I was a student in Diana’s Uranian Astrology classes in Manhattan, NY. From 1988 to the early 1990s I made a gradual shift from Uranian (tropical) to Vedic (sidereal) astrology, a subject Diana always intended to study, but Fixed Stars came to take up all of her time. She has always been fascinated with very ancient things, and the study of antiquity. A different portion of this interview, mainly on Fixed Stars, is being published simultaneously by ISAR Journal (Journal of the International Society for Astrological Research), both print and On-line versions. See http://www.isarastrology.com. This larger interview at Saptarishis covers only a few pages of the same material, but also much more from Diana on stars. It segues at times into a dialogue between us about Fixed stars, mundane astrology, the Vedic nakshatras, and the two zodiacs – tropical and sidereal (items #12 through 14), also about her life and birth chart, including my commentary on her Vedic chart, at her request (item #16). We have been in touch over the years, mainly at national and international astrology conferences. One full Saturn cycle later, after being her student in NYC, I am very honored to interview Diana here on Fixed Stars and on her upcoming book: Secrets of the Ancient Skies: Fixed Stars and Constellations in Natal and Mundane Astrology. Her website: http://ye-stars.com. Phone conversations and e-mail exchanges for this interview took place January through June 2010, with much of the content delivered by late Feb. 2010. During this time, Diana was and is gravely ill with pancreatic cancer. Still very spirited and alert mentally, she chose to avoid more radical treatments such as chemotherapy or radiation because they would have weakened her further, making it more difficult for her to finish work on her book. I know the astrological community shares my gratitude for the innate intelligence, diligence and exuberance Diana has for the subject she loves so much, and for her dedication in sharing her knowledge and insights with all of us. P. 4 1) EH: How did you get started in astrology? Or what made you decide to study it more seriously? P. 4 2) EH: How did you get from there to your deep study of the Fixed Stars? EH: Your book on Fixed Stars has been long awaited – even by you!! As you were researching and writing, did your point of view change about the use of stars in astrology? EH: Let’s include here a quick review of the naming of the stars. P. 8 4) EH: There is a general lack of knowledge about what Fixed Stars are and how they work. Sometimes they get a reputation for being mostly very difficult, or malevolent. Is this justified? EH: How can we determine if a Fixed star will give results in terms of all that has been attributed to a given star? EH: Are some stars more important than others due to their magnitude? Or actual size? P. 10 5) EH: What is your process or your research method in working with the stars? P. 12 6) EH: Let’s look at some of the other books on Fixed Stars and get your view on them. You used to have a list of recommended books on the subject at your website. At the top of your list was Reinhold Ebertin and Georg Hoffman’s Fixed Stars & Their Interpretation (1971), followed by Vivian Robson’s The Fixed Stars and Constellations in Astrology (1923). You even provided reprints of these before they became available on the web. EH: So this goaded you into doing your life’s work! Was it the paucity of material on the Fixed Stars? I personally am not familiar with all the material available on this subject. P. 13 7) EH: I see you decided to start your Fixed Star research in 1980 with Algol. Tell us what you found about Algol. P. 16 8) EH: Are there other stars for which you have a special affinity – ones that you find remarkable and worthy of special attention? know some have tallied as many as 290 of them. How many Fixed Stars are there? P. 19 10) EH: Let’s discuss Fixed Stars in natal astrology and in mundane astrology. You have researched Dwight D. Eisenhower at some length, and also some mundane events such as the Union Carbide disaster in Bhopal, India Dec. 3, 1984. EH: Eisenhower is such a great historical example, but I have avoided using him due to his DD (Dirty Data). What convinced you to go ahead and use 3:40 AM? Or is exact birth data less important in the use of Fixed Stars? P. 20 11) EH: Are there some other historical figures whose charts clearly show the workings of some of the important Fixed Stars? like the chart of the Republic of India. Let’s give that data: Jan. 26, 1950, 10:15 AM, Delhi, India. Tropical Ascendant is 4:49 Aries. Sidereal Ascendant is 11:39 Pisces. P. 26 13) EH: Let’s introduce some of the issues that come up around your use of the two zodiacs, and how you view Vedic nakshatras. We can continue with the India Republic chart. P. 32 14) EH: The Fixed Stars by their very nature bring up the zodiac issue. Let’s go into this a little more. We can call it The Zodiac Dialogues! P. 37 15) EH: After researching and writing on this subject for over 30 years, what do you think is your contribution to what is already known on this subject? And what for you is the highlight of your book? 1) EH: How did you get started in astrology? Or what made you decide to study it more seriously? DKR: Astrology saved my son’s life! That convinced me to study it seriously. I was “trying out” astrology in New York City with Betty Lundsted. Betty taught the basics, and her friend Pat Morimando, upstairs in the same building, taught chart construction. This was back in 1975, before everyone had computers. Pat was teaching me the calculations using my son’s birth data, and towards the end of the session she looked a little more at his chart and asked about his health. I said he had mononucleosis, and was struggling to finish his senior year of high school. I left feeling nervous and uncertain, and decided to knock on Betty’s door on the way downstairs, because I was worried about my son. Betty quickly looked at his chart. He has Leo Rising, and Sun in Aquarius in the 6th house with Capricorn on the (tropical) 6th cusp. She did think some danger was approaching, and told me to watch him closely. I asked what I should look for and she said: “Leo: Heart, spine, upper back. Capricorn: Bones, teeth, skin.” I walked away with those six items etched in my brain. Because mononucleosis tends to weaken the immune system, Peter had been checked by a doctor every week. He went alone, and he told me that each time he would strip to the waist and the doctor would check his heart and lungs. I was constantly thinking of the list of six items Betty had given me, and one afternoon I noticed Peter rubbing a large birthmark mole on his upper back – the kind that doctors tell you to have removed because sometimes they turn cancerous. I remembered Betty Lundsted: “Heart, spine, upper back – Bones, teeth, skin.” I thought: “Upper back, skin!” And I insisted that he have it removed immediately! I gave him money for a taxi, called a dermatologist, who was also a family friend, and urged him to examine Pete that same day. At first the doctor said he’d have to make an appointment, but I kept insisting, not saying why. The dermatologist sent him straight to a surgeon, after he saw the mole should be removed immediately. Pete returned home with a wound three inches long, and 8 or 9 stitches. A few days later, my husband and I got an ominous call from the surgeon’s office. They had done the biopsy and wanted us in his office immediately. It was a melanoma, a very fast-growing, extremely deadly form of cancer. They rushed him into the hospital and operated right away – a major surgery. Pete was in the hospital two weeks, and the surgery saved his life. (Later the surgeon told me it was caught in the nick of time. The melanoma was probably about to metastasize). After the crisis was over, I realized that the doctor who had been examining him every week had not noticed the melanoma, and that astrologers who had never even met him were the ones who saved his life! Right then and there I decided to study astrology seriously. I am from a family of doctors: my stepfather, uncle, grandfather, and maternal great-grandfather were all physicians. My uncle, a prominent surgeon, had been very critical of me for studying astrology, but that event silenced him. I told him and everyone else that without astrology, my son would not have lived beyond 18. My uncle remained skeptical about astrology, but the facts were irrefutable. But there was a very big problem: How could I get the positions of more stars? The lack of star lists was the reason no further research had been done. Astronomers use right ascension and declination, which are based on the celestial equator, whereas astrologers use celestial longitude and latitude, based on the ecliptic. To convert from the first to the second of these requires some elaborate math, and this was before home computers. Then fate came through for me in the person of Michael Munkasey, an astrologer, engineer and mathematician. At a conference he handed me two large boxes of star lists that he had input from the Yale Bright Star Catalogue and converted to ecliptic coordinates. He said, “Diana, I have so many projects that I’ll never get around to the stars. So I want you to have these!” Of course, I was delighted, and tremendously grateful. I put them into a huge red notebook, with room between each for notes. That was the beginning of my research, around 1980. I lugged that heavy notebook to every conference and kept adding to it every chance I got. I began to see patterns, and went looking for more. Body Parts: I collected data on people who were blind or had severe eye problems, because some ancient texts mentioned certain stars in connection with blindness. But I did not want to take anything for granted. I wanted to do all my own research. I have about 100 blindness charts now, but when I had collected about 70 of them, I corrected each one for precession (for the then-current 1980 fiducial point), and then entered them in the big red book. For the most part, the ancients were correct, and I found a few additional places that produced a high number of eye problems. Looking at my new Blindness list, I suddenly realized that the afflicted people had planets at the eye of the Bull, the eye of the Crow, the eyes of the Crab, the eye of the Dragon, the eye of the Archer, and so forth. That was a huge breakthrough for me! It was my first realization that the constellations were not just random connected dots, but were placed the way they were for very specific reasons. At a conference on ancient astrology in Princeton, NJ I gave a lecture on Fixed Stars and mentioned the idea that constellation figures may have been placed deliberately to pinpoint specific parts of the body. Soon after my talk, a New Jersey astrologer came up to me and asked me to check her chart, as her right arm had recently been amputated at the shoulder due to a cancerous growth in the armpit. She wanted to see if there were any constellation positions that would link to that. We sat in a quiet corner with my big red notebook, and went from position to position on her chart, starting at her Ascendant, which was 32 Virginis, a star in the Virgin’s right arm. Then came Jupiter in the 1st house aligned with Sigma Bootis, in the right arm of the Herdsman; the Moon (in the 2nd house), was Gamma Herculis, in the right arm of Hercules. Asteroid Juno in the 3rd house was aligned with Cheleb, Beta Ophiuchi in the right shoulder of the Serpent-Bearer. (By this time, both of us were gasping.) Then in the 5th house, after Venus and the Sun (no hits) came a Mercury-Mars conjunction at Sadalmelik, Alpha Aquarii, the right shoulder of Aquarius. In the 7th house her Uranus was aligned with 7 Cephei, the right shoulder of Cepheus, and 22 Andromedae, the right hand of the Chained Woman. In the 8th house, Chiron aligned with Gamma Persei, the right armpit of Perseus; the Midheaven was Beta Columbae, the Dove’s right wing; and Pluto in the 10th house was 82 Geminorum, Pollux’s right shoulder. Both of us were speechless. This was another tremendous breakthrough, and one of the major discoveries I made in researching the stars; the vital importance of the constellations in detail, and not only the ones on the ecliptic (i.e. the zodiac) but those of the Sphaera Barbarica – the figures above and below the ecliptic – even those very far from it, near the poles. EH: So you have a whole section in your book on Body Parts? Appendix, or mention it in the Introduction. DKR: Fixed Stars are just regular stars. They were called “fixed” because they seemed to stay in the same relative positions over the centuries, while planets (and comets, meteors, etc) moved. In some cultures – China, for instance – the star figures were considered flawless, while the planets were the “troublemakers” who came through and upset things – rather like a motorcycle gang riding through town! Other cultures thought of the planets as messengers and interpreters. By traveling through, or stopping at a constellation, they were sending a message in code to earthlings. Stars do have their own movement, each one different. It’s called “proper motion” – but it is so infinitesimally slow that it takes hundreds of years in most cases to be noticeable, and is usually ignored by astrologers. EH: Let’s quickly review the naming of the stars. 4) EH: There is a general lack of knowledge about what Fixed Stars are and how they work. They sometimes get a reputation for being mostly very difficult, or malevolent. Is this justified? DKR: Stars are intense foci of energies that both test an individual and enlighten him. (Sorry about the “him” – the English language does not supply a neutral noun for both sexes, so assume when I say “him” I mean “him or her.”) What you get with the stars are not good/bad, right/wrong, benevolent/malevolent, but issues. For instance, there might be an issue of tolerance versus intolerance, or addiction versus abstinence, arrogance versus humility, greed versus generosity, aggression versus working for peaceful solutions, and so forth. The chart will be set up so that the individual will constantly have these issues come up in his life, and he will have to decide how he wants to deal with them. Very often both ends of these polarities will manifest in one lifetime, pulling and pushing the individual to make choices over and over again. A typical scenario might be that one is born into wealth and comfort, then loses everything and goes through a period of poverty, then works his way back to wealth and might have to decide whether to “play it safe” and stash his money in fear of another “crash,” or to take the lessons of poverty to heart and use his money to help others who are in need. 28 Pisces). Baten Kaitos is a stormy star, known for shipwrecks, possibly with rescue, and drowning. (Right opposite it is another shipwreck star, Foramen, Eta Carinae.) Baten Kaitos was at the North lunar node at the Titanic disaster, and shows up in many shipwreck charts. extraordinary number of great artists, poets, playwrights, composers, actors and dancers! EH: On a technical level, what is the orb of influence you use with the Fixed Stars? 5) EH: What is your process or your research method in working with the stars? DKR: First, using an astronomy catalogue of stars, each one I want to use is converted from right ascension and declination to celestial longitude and latitude (using a module in the CCRS Horoscope Program that does this conversion) and projected perpendicularly onto the ecliptic, in degrees measured from 0 Aries, the Vernal Equinox point. For each chart, I calculate the number of years between the birth or event and January 1, 2000 (the current fiducial point), then I multiply that number by 50.23” (the rate of precession per solar year) and add the resulting degrees-and-minutes to each chart’s planets and angles. Next I enter the new positions, each in its appropriate star set. Over the years, as I worked and more stars and DSOs (Deep Space Objects) were added, my original span of 2 degrees per star set necessarily increased to an average of 3 degrees. And there were places where the dividing breaks between sets were difficult to decide upon. A few of them are awkward, necessitated by my reluctance to allow any set to span more than an absolute maximum of 4 or 5 degrees. The center of the Cancer Crab, for instance (now tropical Leo) runs from about 6° to 13° Leo. It includes Open Cluster M44 (Praesepe, “the Beehive”), North and South Asellus, and, sharing the same longitudes, stars of Puppis (the Stern of Argo Navis), early stars of Hydra’s head and elements of Draco, the Dragon. This intense area of seething energies, anchored by Praesepe and the Aselli, could very well have spanned a full 7°. I split it at about 10° of Leo in order to keep it manageable, but the split could just as well have been placed earlier or later. Because I wanted to check out all stars, not just the most famous, or brightest, or those nearest the ecliptic, I began with a long list and frequently added to it as I worked, ending up with nearly 2,000 stars and DSOs. The stars in my book were culled from this Master list. Each degree of the zodiac contains not only stars of the zodiacal constellation, but also stars of constellations above and below the ecliptic, which add their energies to each degree and sign of the zodiac. used noon, and left out the Moon and angles. 2000 positions in my book. I list star positions for both the tropical and the sidereal zodiac. When I do research, I take a chart of a person or an event and precess-correct it. Then I put the corrected positions around the chart; and next I go to the star sets, and put the placements of each person or each event in where they belong. (I decided to be inclusive, which was a very good decision, as it turned out. That’s how I made discoveries with unexpected things.) I keep feeding in people and events that fit that category, and feed in the data of their charts in order to confirm a pattern. Sometimes I fail to find a pattern, so I go both ways to try to find what patterns I can, and see if they relate to energies in a given area. It’s my Data Monster! I may think: “Oh, I have several serial killers here,” or “I have several apparitions of the Virgin Mary.” So I put all the major positions out to Pluto on the chart, and I include the Lunar Nodes. Occasionally I’ll mention an asteroid, but generally I stick with the major planets and the angles of the chart. The Moon and the angles have to be omitted if no birth time is available. That’s why I tell the reader that if something doesn’t quite fit, try the adjacent star sets. All this is in the Introduction to my book. 6) EH: Let’s look at some of the other books on Fixed Stars and get your view on them. You used to have a list of recommended books on the subject at your website. At the top of your list was Reinhold Ebertin and Georg Hoffman’s Fixed Stars & Their Interpretation (1971), followed by Vivian Robson’s The Fixed Stars and Constellations in Astrology (1923). You even provided reprints of these before they became available on the web. 2000, add 0°42’; for 2010, add 0°50’ to each position given. As to number of stars, Robson listed only 110 stars and Ebertin only 73. But look at the sky! There are so many more than that! And Robson covers only 5 to 6 degrees of Aries. I felt personally very miffed. Where are my stars?! Fixed Stars? I personally am not familiar with all the material available on this subject. DKR: It was the limitations of the material. When I began my research in 1980, Vivian Robson’s book was considered the best book on the subject. In his book and others, the examples were often too general, and applied to everyone, or nearly everyone – such as: “This person will recover quickly from adversity.” Well, you either recover quickly, or you don’t. It’s not too helpful. As you can see, I really don’t agree with that idea that if the star is not visible at the place of birth it doesn’t count. Brady also switches things around. She gets a planet on an angle and then says: Okay, what star was rising when Saturn anti-culminated? Or that star was setting when such and such was happening. And it’s not that it’s not valid. It just seems a stretch to me to do what she’s doing exclusively, but she insists that her way is the only proper way. I’d rather be more direct. I use the planets according to their ecliptic degree, and that works best for me. Brady claims that her method is the only method the ancients used, but I really do question that as well. There are also historical matters on which I disagree with Brady. She has a section in her book on Abraham Lincoln. She says: “Abraham Lincoln was born the day Sirius culminated as his Venus set. Although the Venus content is not clear, Lincoln is a typical Sirius figure….” I disagree. Sirius is known, for instance, for a tendency to have a fierce temper and uncontrolled rage! She also wrote, on Lincoln: “He strove to achieve the dream of the freedom of all people.” Actually, his dream was to keep the Union together. He was reluctant at first to free the slaves, because that would threaten the Union. I’m just not comfortable with the idea of working only with parans. However, I want to add that Bernadette Brady has made an enormous contribution to the field of Fixed Stars, and her Starlight program is absolutely first-rate. I recommend it very highly. 7) EH: I see you decided to start your Fixed Star research in 1980 with Algol. Tell us what you found about Algol. star than that; for instance, it has a strong artistic side as well. Astronomer Carl Sagan, another Nuclear Freeze activist, had Algol rising. Poet Maraquita Platov (Mercury at Algol) was so moved during her childhood by the horrors of World War I that virtually all her poems were devoted to anti-war themes. What these people did was to act positively against violence and horror, and by thus manifesting the energy in a positive way, diverted its dangers from themselves. (By the way, I have Chiron at Algol, and besides writing about it, I’ve donated to charities that alleviate suffering, both of humans and animals). And I want to mention that since I wrote the article about it 18 years ago, I discovered that Algol is also a fire star. In a study I did of Fixed Stars and fires, it turned up with a rather high score. Algol was also an element leading up to 9/11. At the Full Moon preceding the attack (Sep 2, 2001, 9:44 PM GMT, New York City), Algol was at the 4th house cusp. The 4th house of a chart describes the final outcome of the matter, and/or the grave or final resting place. In ancient China, Algol was Ta-Ling, the Great Trench, which was a trench full of dismembered corpses. The people lost in the collapse of the World Trade Center towers were never found; their bodies had not only been dismembered, they were pulverized. Another Algol manifestation from that event was that the people who worked devotedly for months to clear the site are now suffering from respiratory problems because of the dust they inhaled, some having died from this, affirming the Algol connection to asphyxiation. Some of the Fixed Stars are harsh, yes – but to a purpose. Each defines an area that will be tapped for good or ill. Its tests are intense and unavoidable. Algol, like the other stars, confers tasks upon us which, if comprehended and accepted, offer great rewards of power and creativity. The more we understand and use these stellar changes in a positive manner, the less they are to be feared. 8) EH: Are there other stars for which you have a special affinity – ones that you find remarkable and worthy of special attention? DKR: Yes, Antares and Sirius. I have written about both of them extensively in my book. Antares is known as Alpha Scorpii (9:46 Sagittarius – tropical; 15:55 Scorpio – sidereal Lahiri). It’s the Scorpion’s heart. Chinese astrologers considered this asterism the symbol of the Son of Heaven, because man was the heart of heaven and earth; therefore the Son of Heaven was Master of Man. In China Antares was the heart of the Great Celestial Dragon. At the Winter Solstice of 2006, as Mars and Jupiter came together with Antares between them, an ambitious London project was set in motion. By June 1 2007 a Full Moon joined Vesta at Antares as workers set up “The Heart,” an exhibition planned as a diverse collection of heart- centric science, art and thought, exploring the “extraordinary medical, spiritual and cultural significance of the heart.” They brought together exhibits of all ages and cultures, including the Egyptian Book of the Dead showing a heart being weighed against the feather of truth, Aztec sacrificial knives, Christian sacred heart imagery, a telecast of heart valve surgery, a heart-lung perfusion machine, anatomical drawings by da Vinci, etc. The exhibit opened June 21, 2007, the day of the Summer Solstice. On the Solstice chart set for London, Jupiter rose with Antares, the Scorpion’s Heart. Antares is prominent in individuals and events marking the great issues of humankind, especially intolerance, racism and human rights. BCE, the year the Julian Calendar was established in Rome, a Solar Eclipse aligned with Sirius. Because the Julian Calendar had slipped severely from its original seasonal markers, Pope Gregory XIII sponsored a calendar correction. In 1582 CE, as the Gregorian Calendar was adopted by Catholic nations, a Solar Eclipse aligned with Sirius, with the Sun eclipsed as it was rising at Rome. In 1917, Russia, Turkey, Bulgaria and the Balkans also changed to the Gregorian Calendar, with the Sun of a Lunar Eclipse at Sirius. I also like the constellation of Auriga, the Charioteer (span: 13:00 Gemini to 19:30 Cancer tropical, 19:00 Taurus to 24:30 Gemini sidereal Lahiri). And I couldn’t figure it out. What was I going to find? Bus drivers? Cab drivers? And for a long time I couldn’t see a pattern. Then I read the Greek myth about Auriga (also called Erichthonius) that said he invented the chariot because he could not walk. Suddenly a possible pattern occurred to me, and I thought: “I’ve got to test this.” Sure enough, those stars turned up on charts of people confined to wheelchairs! The charioteer’s chariot is a wheelchair. Isn’t that something? And the illustration I made is of a war veteran in a wheelchair. I came to this partly through studying the Chinese, who saw the same pattern of stars of Auriga – a pentagon – as Five War Chariots. And each star had its own job. One administered the Oath of Allegiance; another one took care of the horses, and so on. The Chinese are wonderfully detailed about these things. In ancient China, the stars of Auriga represented a military encampment. Even the author of the book I was using (an astronomer) said: “I wonder if there is any connection to the Pentagon in all this.” So I had a look at the day the cornerstone for the Pentagon was laid. Jupiter was exactly aligned with one of the brightest stars of Auriga! And I put wheelchairs and warfare together and thought of wounded veterans! EH: Did you work with charts of veterans? Bull, and under it Orion, and a whole row of brilliant constellations there. When you project stars on to the ecliptic, you get three or four major constellations. His Midheaven was in that area, and one of the constellations was Auriga, the Charioteer. while he was campaigning as U.S. presidential candidate, and he was confined to a wheelchair. He had Pluto aligned with Auriga. 9) EH: William Lilly established around 50 Fixed Stars in his horary work, and I know some have tallied as many as 290 of them. How many Fixed Stars are there? longitude and its place in a constellation. (For comparison, Robson has 110, Ebertin- Hoffmann 73. Brady lists 176 but only has interpretations for 64.) I designed my book to be a tool for astrologers, so that they could use it for their own research, and take the information into new directions, if they wished. EH: So William Lilly was not that critical to your work? DKR: No, he wasn’t. And he was probably using Ptolemy, and expanding on it a bit. Lilly’s work was useful for me, but not that pivotal. 10) EH: Let’s discuss Fixed Stars in natal astrology and in mundane astrology. You have researched Dwight D. Eisenhower at some length, and also some mundane events such as the Union Carbide disaster in Bhopal, India Dec. 3, 1984.
birth was not only the anniversary of Hastings; his Saturn-Ascendant conjunction was the Saturn of Hastings. (That is, his birth coincided with the 28th Saturn return of the Battle of Hastings and squared Mars in the battle chart.) His Moon-Uranus conjunction was the Sun of Hastings. The Battle of Hastings was an invasion of England from Normandy, and Eisenhower would lead an invasion of Normandy from England. It seems to me that he was born to this task. His boyhood hero was Abraham Lincoln, and like Lincoln, he was born in poverty and rose to become President of the United States. And like Lincoln, he had a royal star culminating at his birth! 10 Dwight D. Eisenhower was born Oct. 14, 1890, Denison, TX. Birth time is questionable (Rodden rating DD). to 6 PM times, as these would be closer to late afternoon; also if his mother remembered “about 3 AM” that would seem to be closer to the likely time. I think I chose the 3:40 AM time (actually now I think 3:30 AM might be a bit better) because it put Orion at the MC and in ancient China Orion was a great military figure called “The Supreme Commander.” Ike became “Supreme Commander, Allied Expeditionary Forces.” He had Pluto at Aldebaran, a royal-and-war-star, and 3:30 AM puts Pluto conjunct the MC. Ike’s life epitomizes the classic royal star pattern of poverty-to-prominence. This is an example of using stars in rectification, but of course I have no way of knowing whether I am right about the time. I want to repeat that I now think 3:30 AM is the better time. The precession correction on that chart, from 1890 to 2000, is +1 deg 31 minutes. 11) Are there some other historical figures whose charts clearly show the workings of some of the important Fixed Stars? 9:46 tropical Sagittarius, 15:55 sidereal Scorpio; and 4) Fomalhaut, Alpha Piscis Australis, 3:52 tropical Pisces, 10:01 sidereal Aquarius. (All positions are for 2000, Lahiri sidereal used.) Royal stars do not necessarily indicate those who are high born or prominent, although this may be so. Rather they seem to offer a greater-than-average ambition and opportunities to rise high in the world and to associate with those at the top of their field in any profession. For instance, an office-worker might suddenly be given an administrative post, a student be given an opportunity to work with a famous professor, or a new, inexperienced actor be chosen for a major leading role. Even in a small, obscure community, an “ordinary” person with a royal star placement might become influential or associate with those who are. The danger, of course, is that one may rise too high too fast, lack experience or misuse influence, and suffer a harsh come-down as a result. Or there may also be another kind of “royal connection” in their lives. For instance, biographers might choose royal figures as subjects, actors might play royal parts, etc. Lord Louis Mountbatten, last Viceroy of India, great-grandson of Queen Victoria, had a Mars-Moon-South Node cluster surrounding Aldebaran, opposite a Jupiter-Uranus- North Node conjunction centered at Antares. Immensely proud of his genealogy, his favorite pastime was musing over a chart of his royal forebears. Unfortunately, he also came to illustrate one of the darker sides of the royal stars: the possibility of assassination. Because 2009 was the 200th anniversary of the births of Abraham Lincoln and Charles Darwin, both born Feb. 12, 1809, many people are now aware that these two remarkable souls incarnated on the same day! The Sun on the day of their birth was at the star Kuh, Mu Capricorni, in the tail of Capricornus, the Sea-Goat, and Globular Cluster M2 in the head of Aquarius, the Water-Pourer. (These two constellations overlap). For a long time, as I was researching the stars, this area puzzled me. What was I to make of a goat with a fish’s tail? And why did early texts call Capricornus – one of the most ancient of the zodiac figures – “Father of Light”? In the Chaldeo-Babylonian celestial hierarchy, one of three gods who reigned supreme was Ea, “Lord of the Deep,” preeminently wise and beneficent, enlightener and lawgiver, archetype of Divine Intelligence. The stars of Capricornus belonged to Ea. The teachings of Ea-Oannes, epitomized by Capricornus, make his stars an area of emergence and enlightenment, where laws are established, maintained and renewed; where challenges, struggles and experimentation bring about new systems of social contracts and new legal pathways for the just implementation of power. Aquarians seek unity. Abraham Lincoln dedicated his presidency to saving the Union, while Charles Darwin sought a unified theory that would explain the mysteries of the natural world. His book On the Origin of Species, published Nov. 24, 1859, caused intense controversy, unabated to this day. The North Node was then in sidereal Capricorn/tropical Aquarius. In January 1863 Lincoln’s Emancipation Proclamation freeing the slaves took effect. The New Moon that month was in Capricorn in both zodiacs. Lincoln liberated the slaves, while Darwin liberated the minds of millions who had rejected natural laws that did not conform to carrying on the teachings of Ea-Oannes. Now we can understand why ancient texts called Capricornus “Father of Light”! 12) EH: Let’s discuss how Fixed Stars work in a national chart. I know you especially like the chart of the Republic of India. Let’s give that data: Jan. 26, 1950, 10:15 AM, Delhi, India. Tropical Ascendant is 4:49 Aries. Sidereal Ascendant is 11:39 Pisces. Mars is with Algol, and Neptune-North Node-Pluto in Gemini, with North Node-Pluto conjunct Aldebaran, though Neptune is a bit early for Aldebaran. Noon Moon is in tropical Cancer. I was intrigued to get the birth date of an Untouchable. Gemini, and four planets in the royal sign of Cancer (all sidereal Lahiri positions). India’s Independence chart has 7:43 Taurus Ascendant, with five planets in Cancer: Moon, Mercury, Saturn, Venus, and Sun. With emphasis in the 3rd house of communications, and Venus dasa Sept. 1989 through Sept. 2009, followed by 15 years of dasas of 3rd house planets, we could predict ongoing success for India’s vibrant Information Technology sector. I favor this Independence chart. (EH). After reading about how Dr B. R. Ambedkar and Mahatma Gandhi successfully pressed the Constituent Assembly to outlaw the caste system, and that the Constitution came into force at the same time as the Republic of India was announced, I decided that the 1950 chart was worthy of consideration as a true chart of the nation, to be studied alongside the Independence chart. A full reading of these charts is not possible here, but there are some very notable elements in relation to Fixed Stars, constellations and lunar mansions. For instance, the great ancient astronomer/astrologer/mathematician/ geographer Claudius Ptolemy (ca. 85-165 AD) assigned India to Capricornus, the Sea-Goat, a figure now completely overlaid with tropical Aquarius. The Independence chart has Capricornus Culminating, and the Republic chart has the Sun, Jupiter and Venus in the Sea-Goat, and the Republic’s Venus was transiting the Midheaven of the Independence chart. EH: That would contrast with the Vedic view that Venus and Jupiter are not planetary friends, and their close contact in the same sign would generally be regarded as excessive. And while it’s true that nakshatras are classified in numerous ways, including by caste system, we are still waiting for Sanskrit translations of many of the ancient texts on Vedic astrology. From what is available so far, it appears that the four elements are not mentioned, while the four castes (people from classical Hindu society) supplant the elements. But as the symbolism in the Vedic culture is always far broader than it first appears, I would be wary of extracting information like this. It could so easily create distortions in interpretations. DKR: Well, at the risk of doing so, I still think this illustrates the very issues roiling the new republic. Early Western tropicalists named the 11th house as the “joy” of Jupiter, and here the three planets in air tropically, overlaying earth sidereally, illustrate how the ancient Shudra, or Servant castes (sidereal earth signs), have now emerged into the tropical air element – Vaishya (Mercantile caste), with opportunities to become educated and join the bourgeoisie. 14 DKR, cont’d: This includes astrologer Maria Simms, who was married to Neil Michelsen, and became a widow when he died of cancer very early in their married life. She knew something about Fixed Stars, and she came up to me and said: “Did you know that we were married on a day when the Sun was at Vindemiatrix? We were crazy that day, running around getting various papers for the company, and talking to lawyers. And one of the things we had to do that day before jumping on a plane was to go get married!” They were so busy they didn’t even look at the planets! Sadly, Michelsen was diagnosed with cancer not too long after that. She volunteered the information, and said she would let me use it. I think Elizabeth Taylor married Mike Todd when Jupiter was at Vindemiatrix, and he was killed in a plane crash early in their marriage. There are so many examples of the connection to the loss of the partner. (DKR) of World Horoscopes have Vindemiatrix prominent: It was rising on Jan 1, 1877, 0 AM LMT, Delhi when Queen Victoria – known as the “Widow of Windsor” – became Empress of India; Neptune was at Vindemiatrix at the Independence chart of 1947. (Neptune had come to the Ascendant of the Empire chart, dissolving it.) And on the Republic’s chart there is a conjunction of Mars, Uranian planet Poseidon (enlightenment), and the karmic South Node. Widowhood has been an issue in India since ancient times. For centuries the tradition of Sati expected or forced widows to throw themselves on their husbands’ funeral pyres. The Constitution outlawed the ancient caste system, including the Untouchables, but equivocated on many feminist issues. For instance, the treatment of wives is still a concern in India. Despite government efforts, some are murdered so that their husbands, being widowers, might re-marry to gain a new dowry. There is a consistent connection between India and Vindemiatrix – also occasionally called Almuredin. Nor does a star have just one meaning. In addition to being the Star of Widowhood, she is also known as the Grape-gatherer, or the Vintager, or the Herald of the vintage. I was able to get the data of a man who started his own winery in California. I don’t know if he is a widower, but in his chart Vindemiatrix is in the Ascendant – confirming another aspect of Vindemiatrix: the cultivator of grapes. She is also called Protrygeter – “the fruit-plucking herald.” When she is rising, she heralds the time of the vintage when the grapes are gathered. 13) EH: Let’s introduce some of the issues that come up around your use of the two zodiacs, and how you view Vedic nakshatras. We can continue with the India Republic chart. 299 years apart, both of them Lucasian Professors of Mathematics at Cambridge), the Midheaven of physicist-inventor Nicola Tesla, called “master of lightning,” who invented radio, Venus of legendary 10th-century Persian scholar-astronomer Al Sufi, publisher of Kitab al-Kawatib al-Thabit al-Musawwar (“Book of Fixed Stars”), the Moon of astrologers Lilly, Ebertin, and Ficino, to name but a few. In any case, Abhijit’s constellation of Lyra is way above the ecliptic, far north of the other nakshatras, so that’s another part of the mystery. chart analysis. Abhijit nakshatra should also not be confused with Abhijit muhurtha, which is one Ghati (24 minutes) on either side of local noon time. It is an auspicious 48-minute time period near mid-day each day, and is considered when an appropriate Muhurtha is not available. Only Abhijit muhurtha is of any significance to modern Vedic astrologers. 16 See K.T. Shubhakaran, Nakshatra: Constellation Based Predictions with Remedial Measures, 1991, p. 285. DKR: I know Abhijit nakshatra is not normally used in Vedic chart analysis, but I am not doing Vedic chart analysis! Since I have been granted the gift of its original determinants, I wanted to experiment with it. (My natal Sun is conjunct Uranus.) Besides, it is so mysterious and intriguing! You say Mercury of the Republic of India chart (18:40 tropical Capricorn, 25:31 sidereal Sagittarius), is in Abhijit nakshatra. But Vedic astrologers place it between 5 and 11 degrees sidereal Capricorn at the maximum extent. 8:35 sidereal Capricorn (0:57, 1:47 and 2:26 tropical Aquarius). not match the Lyra stars. This is a very good example of how difficult it has been for astrologers working in both zodiacs to deal with the stars. Shubhakaran talks about Vega and the other two stars, but he doesn’t know where they are in terms of degrees. He can only name them as the stars traditionally connected to Abhijit nakshatra. In her book Circle of Stars (pp. 100, 109), Sanskrit scholar Valerie J Roebuck gives the same three determinant stars. EH: It is good you can clarify these points, as although it is still potentially confusing – at least we can hone in on why it is so confusing! DKR: I am using determinant stars even if there is a conflict with the standard Vedic spans, and I consider this part of my learning process and “mission,” as it were. And I am doing this not only with nakshatras, but constellations as well. I hope that astrologers will try out and test these differences – standardized spans versus spans based on the ancient, original determinant stars – to see which they find more pertinent, useful, insightful and enlightening. supremacy. As for the sidereal-tropical combination, Leo’s fire makes this a mansion of the Kshatriya caste of rulers and warriors, but now it is overlaid with the modifying tropical influence of Shudra’s earth element. No longer can hereditary rulers dominate the servant classes; now they must curry their favor to get elected! Vedic scheme of things. Fire is associated both with royalty, and with military and political leaders, the Kskatriyas. Earth is associated with the Shudras, or servant class, those who do the real material work in the world. In the classic Vedic sense, the one cannot replace or even duplicate the other. DKR: But Edith, consider – during the past century, all over the world, royalty has virtually disappeared, or completely lost its real power! And I am not changing the elements. I am saying that they are now combining. EH: Of course, now we have an overlap of almost one sign and one element to discuss. In several hundred more years, the overlap will be two signs away! DKR: I calculate it as another 430 years to go in the current overlap: 2,580 years – 2,150 + the 6 degrees. EH: Okay – somewhere close to that! But I do agree that when the slower moving outer planets (especially Uranus, Neptune, and Pluto) enter each tropical sign, one can observe changes in that arena of life. Then later, when that planet enters the same sign sidereally, there are even more profound or radical stages of development in that area of life. With Pluto in sidereal Sagittarius, for example, the issue of widespread corruption within the Roman Catholic Church has finally reached the Pope himself, making him more vulnerable. era, that in some countries even Drug lords have a higher status among the common people than the legitimate king or rulers, especially if they are perceived as doing more for the good of the people. A battle for “royal” legitimacy is being waged in several countries now – Mexico, Jamaica, Afghanistan – among others. Drug lords, often called “drug kingpins,” are the “renegade royalty,” consistent with Pluto in sidereal Sagittarius. DKR: In any case, what I have been trying to do is to search out, discover, experiment and perhaps revive the ancient patterns. I’d like astrologers to try both possibilities and decide for themselves. EH: Okay. But for Vedic astrologers who are classically trained, it is very difficult to see how the tropical zodiac can work with the Fixed Stars, especially the Vedic nakshatras – as their tropical position is changing over time, a degree every 72 years or so. DKR: Of course tropical positions work with the stars, because whether you label a degree “tropical” or “sidereal” you are still talking about one specific spot in the sky, whatever its “degree label”! And each star can be given its proper “degree label” according to the zodiac you have chosen to work in. For instance, I have the Sun at 19 tropical Aries, 26 sidereal Pisces (Lahiri), which puts it right at the star Revati, Zeta Piscium. Whichever zodiac you use, my Sun is at Revati! Because the Vernal Equinox gradually recedes against the background of the stars, making the distance between it (0° Aries) and the star longer, Revati’s tropical degree designation has increased (moved forward) 1 deg 04 min since I was born, and so has my (precession-corrected) Sun. Revati is still in the same place it always was, in the cord of the West Fish of Pisces. That does not change. But the “degree label” that a tropicalist gives it advances gradually, and that is why tropicalists must use precession corrections when working with the stars. This is so important and also difficult for people to understand. And why did so many ancient astrologers, including Ptolemy, switch to the tropical zodiac? Because under the old sidereal paradigm, the calendar and the seasons were getting completely out of whack! It is the tropical points (0° of the cardinal signs) that determine when Spring, Summer, Autumn and Winter occur, and those points are the ones that gradually precess against the background of the sky. Since all human timekeeping is based on the sky, the switch had to be made, or all the sacred points of the year would fall at the wrong time. If the calendars had not been corrected for precession, we would have the first day of Summer in August, and Christmas in February! Ancient calendar-keepers could simply decree that adjustments had to be made, but it was not that easy for astrologers, who have been dealing with this ever-widening split (between the seasons and the sky-figures) ever since. DKR: I disagree with Nick on this. It definitely did not seem “a simple matter to Ptolemy.” He finally declared himself a tropicalist, but since the precession correction of his time was still small, he was still able to use what Nick calls “the awesome symbolism” fully in his work. His Tetrabiblos is full of star and constellation references and delineations, and I’ve used them extensively in my book. I had a discussion with Rob Hand about Ptolemy’s attributions of certain geographical areas to certain signs. Rob said that since Ptolemy had declared himself a tropicalist, the signs he was using geographically would have to be considered tropical. But I researched the Tetrabiblos text, and became convinced that whatever Ptolemy was saying about the signs, he was nonetheless using them sidereally. In any case, for me this question has been resolved by using precession-correction. But I initially chose the tropical zodiac for my primary research because back in 1980 – when I began this project – that was the zodiac most used by astrologers, at least in the West. EH: Since that time, of course, has come the rise of Vedic, or Indian astrology in the West and worldwide. And in your Fixed Star book, you list all stars in both tropical and sidereal zodiacs, the latter using Lahiri ayanamsha. You ended up using both zodiacs. Yes? Though you lean towards the tropical. DKR: Yes, I ended up using both zodiacs, as the more I worked with Fixed Stars, the more I didn’t want to be limited by one zodiac. But I want to say, and emphasize very strongly, that I prefer the tropical zodiac. As the lens I have been looking through far longer, I find it closer to the essential message of each chart, just as I know you feel the same using the lens of the sidereal zodiac. And whatever my preference, I always say the sky doesn’t belong to anyone, or any one zodiac! I am more interested in what the sky figures are telling us. 14) EH: The Fixed Stars by their very nature bring up the zodiac issue. Let’s go into this a little more. We can call it THE ZODIAC DIALOGUES! DKR: Great! You know, astronomers say, “Why should we bother to look at astrology? You can’t even agree on a zodiac!” Siderealists make the point that tropicalists are constantly changing and adapting their viewpoint because the equinoxes and solstices precess in relation to the stars, making the tropical zodiac movable, and thus, they believe, changeable and unreliable. But tropicalists who see the annual cardinal pillars of the seasons as the steadfast (and sacred) points, could just as well point out that the sidereal constellations are constantly creeping away from their ancient tropical (Sun/Earth) anchors! The sidereal zodiac is profoundly linked to the sky-figures, while the tropical zodiac is profoundly linked to the Earth/Sun’s four-pillared seasons. Both are eternal. Both are sacred. nakshatra, has been given one degree-label by the tropicalists and another degree-label by the siderealists. But that planet and that nakshatra ARE IN THE SAME PLACE IN THE SKY for both zodiacs! Sidereal can’t “own” lunar mansions – they belong to everyone! don’t own the nakshatras, but they have developed them in a very specific and sophisticated way that is uniquely Vedic, including the deities, the qualities, and the many mythologies surrounding each nakshatra. An alternate orientation should not be superimposed on them, and I don’t think you mean that. But for instance, when anyone goes into a Hindu temple in India, the only thing the priest wants to know about you before blessing you is where your “birth star” is. This means the nakshatra where your birth Moon is situated in the sidereal zodiac. This tells him the most important thing he needs to know about you – how your mind works. It is a key factor to understanding the mind and personality of an individual. If a Western tropical astrologer wants to use the Vedic nakshatras in the tropical zodiac, then I would suggest the correct use would be very general in terms of the themes of the nakshatra and its ruling deity. There are great many details about these nakshatras which simply do not translate into the tropical zodiac, which is going to keep shifting the zodiacal position of these nakshatras. Vedic astrology regards the importance of both sign lords and nakshatra lords, and then specific lords and sub-lords of each pada (quarter). Much about each and every nakshatra derives its significance for all Vedic astrologers due to its specific zodiacal degrees in the sidereal zodiac. DKR: I realize that to a Vedic expert like yourself, each nakshatra has a myriad of meanings, connotations and rules that reveal wonderful and useful information. Even if a tropicalist is ignorant of these, he/she can still distill meaning from the mansion if they know the stars that comprise it. This, I believe, can serve as a bridge between the two factions of our beleaguered trade. We should build on this. Perhaps this conflict between the two zodiacs, so damaging to the reputation of astrology among scientists, can eventually be reconciled by the study and use of the real sky! terms of the clusters of stars they inhabit. Don’t worry here about determinants. Let’s just say that the determinants are telling us, in general, where the nakshatras originally resided. And those original determinant stars have very distinct energies, which I believe gave each nakshatra its identity! motion is also 27.3 days, another reason why there are 27 nakshatras and not 28, as in the Chinese and Arabic lunar mansions. The Moon’s motion is hugely important, but we cannot absolutely confirm whether the seers were more concerned with nakshatras as equal segments, or as clusters of stars. DKR: I don’t think it would have been possible for them to measure exact spans when people looked at the sky, even if those distinct star groups (usually of prominent stars) would have given them at least an idea of where a nakshatra began or ended. But because “an idea” would not have been good enough for chart analysis, the precise spans, keeping pace with the movement of the Moon, came into use to keep things orderly. now considered what is important. That you and other Vedic astrologers use the exact degree spans is fine with me – I just want everyone – siderealists and tropicalists alike, to know what is going on in the sky in that degree span, or any degree span! also a place in the sky. The Vedic tradition, so detailed and complete in so many ways, has, for the most part, lost its heavenly foundation. That’s why I keep insisting, to both siderealists and tropicalists, that they become aware of the stars. is much more based on the Fixed Stars than is the tropical zodiac – which is seasonally oriented. The meaning of the signs breaks down totally in the Southern hemisphere, while in Vedic (sidereal) astrology the sign of Aries is not necessarily tied to the spring season but is tied to the idea of qualities. And as the first sign, it is the sign of beginnings and initiations. In the Vedic literature on nakshatras, the Fixed Stars are mentioned on a regular basis. Classic Vedic texts like Surya Siddhanta mention their locations. The nakshatras form constellations of Fixed Stars and certain Fixed Stars mark their prime and junction stars (yogatara). The Vedanga Jyotish (ca. 1500 B.C.) confirms that ancient Vedic seers gave planetary and even ascendant longitudinal placements only in terms of nakshatras. Sage Parashara refers to comets as seen in various nakshatras. DKR: No, I don’t agree. The nakshatras are indeed very ancient, but they are also quite different from the signs. The Greek myths are very much connected to the sky figures, and I have long suspected that many of their myths derived from the figures – or at least the energies from each particular part of the sky – not the figures from the myths. But there’s no way of truly knowing that. On the zodiac issue, another Vedic colleague Andrew Foss told me this recently: “The Fixed Stars are where they are, as are the planets at any moment in time. The signs and nakshatras are also fixed. The only thing that changes in the tropical zodiac is the distance from the Vernal Equinox point. Stars don’t change constellations because one uses the tropical zodiac unless you make the nakshatras mobile, which is completely contrary to their fundamental definition which is as fixed as the stars and is with reference to certain Fixed Stars within them (yogataras). general, though apparently there is at least one Vedic astrologer (Ernst Wilhelm) using the tropical zodiac for natal analysis, sidereal for dasa analysis. But that is extremely rare. In any case, it will be very interesting to see how research on all this unfolds, with your concept of original determinant stars versus standardized nakshatra spans. Your dual sign natal orientation is uniquely equipped to put yourself in multiple lenses at the same time. You do that brilliantly! The less adaptable and mentally adept astrologer will be more challenged in maneuvering through the many layers and lenses you do with such enthusiasm! 15) EH: After researching and writing on this subject for over 30 years what do you think is your contribution to what is already known on this subject? And what for you is the highlight of your book? behind them, because that’s what they were, earlier. Sagittarius has a wing in the place of the usual flowing cloak, because the earliest depictions of him are winged. Aquarius was described as a naked youth, so that’s what I made him. And so forth. EH: What would you like people to know about you? DKR: I’d like them to know my data and my current situation. Usually I tend to be pretty free about details of my life. It’s a little awkward for me analyzing me, but I don’t mind if you do it. And I am very interested in what the Vedic chart says, because I always intended to study Vedic astrology. EH: If you’d like a Vedic snapshot of your chart, I can do that, but only if you want. DKR: I’d love it. Please go ahead. EH: Okay, let’s give your chart details, and put it in the Vedic framework. Your birth data is: April 9, 1933, 10:13 AM EST, New Rochelle, NY. Using the sidereal zodiac (Lahiri ayanamsha), your birth Ascendant is 19:20 Gemini with Sun, Venus, and Mercury in Pisces in the 10th house, and Mars, Ketu, and Jupiter in Leo in the 3rd house. (Ketu is the South lunar node; Rahu is North lunar node.) Rahu is situated in Aquarius in the 9th house.) Moon is in Virgo in the 4th house. Saturn is in Capricorn in the 8th house, good for longevity – so has protected you for some time. knowledge accessible, the cultural level depending on various factors, including the condition of the classic benefic planets Venus and Jupiter. In your case both of them are very involved with Mercury, including exalted Venus, which adds refinement. You have made your study and your book on Fixed Stars in a very broad spectrum. You are dissatisfied with parameters that seem artificially reduced, and Mercury-Jupiter defines this broad spectrum you have. This is further emphasized because you are in Mercury dasa (cycle) in the Vedic system, and Jupiter is so linked with Mercury in your chart, and they are in 6-8 house relationship. That is, Mercury is in the 8th house from Jupiter in Leo, and Jupiter is in the 6th house from Mercury in Pisces. (When two planets are in 6th and 8th positions from each other, it is called Shastashtaka – pronounced shas-TASH-ta-ka.) You are dealing with problems with the pancreas (pancreatic cancer), and Jupiter is connected with sugar, which is what the pancreas regulates. DKR: Yes, and Jupiter can be careless, and too much of a good thing. And I ate too much! EH: Well, and the fact that Jupiter is lord of both the sign and the nakshatra where Ascendant lord Mercury resides, that is further emphasizing the Mercury-Jupiter connection. We call the planet which is nakshatra lord Jiva, or the life force. So Jupiter is providing so much that describes you! The same way you look at research is the way you regard food. It would not be so if Mercury were not also your Ascendant lord, describing your physical body. Who is to say where the boundaries are for that? And then we combine the fact that you move into Mercury dasa, and your Ascendant lord Mercury comes into Center stage for this time period. For you, this is from June 2000 for 17 years. DKR: May I comment on that? You said that I didn’t want any limits, any boundaries. It was more that I didn’t want to take for granted what the other books said, even though with Algol, right away I saw that most of it was true. But I wanted to see for myself. EH: Right! And Jupiter is the planet of knowledge, after all. people, it could be a lot of Low lifes, or Empire builders. EH: Was your pioneering spirit enticed by the fact that there wasn’t very much about it out there? DKR: Yes, yes. For instance, very early on, I realized I could sell my little work book on Fixed Stars – which I created simply for myself to work in and study. And people kept asking me for xeroxes of it. All it had was what was in Robson and Ebertin. But nonetheless, it was all put in one place, and with up-to-date positions. And that was valuable to people. But I kept asking: Can anyone direct me to a teacher of Fixed Stars? And finally someone said to me: “Diana, you’re the teacher. You know more than anyone else.” And I realized that by that time it was true. EH: That’s wonderful! Now to recap: From your Gemini Ascendant, your natal Sun, Venus and Mercury are all in Pisces in the 10th house. Your Mars, Ketu, and Jupiter are all in Leo in the 3rd house from the Ascendant. But those planets are all in the 6th house from the Pisces planets, while the Pisces planets are in the 8th house from all the Leo planets. The fact that the Leo planets are all in the 3rd house from the Ascendant – this is the 8th house from the 8th, which is a kind of setup for obstacles and setbacks. And of course, 8th house is also research. You did all this research, but it wasn’t easy. It took you much longer than expected doing the research, and getting the material to publication. The lord of 9th house of publishing is in the 8th house of loss and setbacks. So we know it wouldn’t be easy for you to go about it. DKR: Well, on the other hand, I enjoyed it SO MUCH! And now I want to say something before I forget. For some reason the 8th house has something to do with the universe, the sky, etc. Maybe that’s why when Uranus came along, some people decided it was exalted in Scorpio. And I find that a lot of times when I’m looking for something connected to the sky, I’ll find it in Scorpio, or the 8th house. And I don’t know what the connection is, but there it is. EH: Well, in the Vedic chart Saturn in its own sign in the 8th house is good for longevity. So that Saturn in your 8th house has protected you for a long time, especially during its 19-year dasa, from June 19, 1981 through June 19, 2000. DKR: Yes, and it’s in its own sign tropically too, because it’s in Aquarius. The 8th house is also a house of financial wealth, and actually financial wealth doesn’t interest me at all. I don’t even research it very much, though interestingly, I did find that the strongest sign for wealth tropically was Aries. And would you believe it? My Sun is exactly in Revati nakshatra? This is supposed to be a nakshatra of wealth, and I can make a strong point about this: I am not, nor have I ever been – wealthy. you know. During my childhood, money was a big issue in the family when I was growing up, with arguments and fights about it swirling over my head. It affected me very much and it made me move away from wanting to have anything to do with money. I didn’t want to consider money any more than I had to. Maybe that was why I have never had much money or interest in making any, and it drove my husband crazy, because it put a burden on him! So with wealth, I have Saturn in the 8th, and was denied the inheritance. But the Sun, ruler of my 2nd house – is 19 degrees Aries tropically. It’s at the star Revati, which is at the ecliptic. EH: True. Your Sun at 19 Aries is the tropical equivalent of 26:23 Pisces sidereally, so in Revati nakshatra, whose span is 16:40 to 30:00 Pisces in the sidereal zodiac. But in your Vedic chart, Leo is the 3rd house, using whole sign houses. So in Vedic terms, your Sun rules the 3rd house, not the 2nd house. DKR: Both the star and the Lunar mansion of Revati are supposed to be wealthy. EH: Yes, the Sanskrit word Revati means “wealthy.” But this is where I think that freely interchanging the tropical and sidereal zodiacs may be interesting for research, but in practical chart analysis it breeds confusion. We have to go to a deeper level of the Vedic chart, and consider that just because your Venus and Sun are both in Pisces in Revati nakshatra – that does not guarantee financial wealth, even with Venus near its maximum exaltation in Pisces. house. In the Navamsa chart, the 5th house lord (Moon) is also exalted, doubling the impact. relative lack of financial wealth, you have given to charities to alleviate suffering by people or animals. You have said your husband was “kindly, but extremely tight-fisted with money.” This is described astrologically by Saturn in the 8th house (2nd house from the 7th house of partner). But it helps that Saturn is in its own sign. Some degree of financial protection also comes from your two children (Venus as 5th lord), who are both successful. in Pisces brings a devotional aspect to it. You give everything to it, as if on an altar. DKR: I love it when you do the Vedic analysis of the chart. EH: Thanks. We can go a bit further then. But first, I wanted to bring in how this whole configuration also fits in with your discovery about your husband, many years after you married. A long time after you started studying astrology in the 1970s, you looked back at your marriage chart, and you thought those planetary patterns were more appropriate for a business contract. When you put all the factors together (astrological and otherwise), you then suspected your husband may have married you for the money he assumed you would inherit. When you confronted him about it, he admitted how “ashamed” he was of doing that. So there was another whole theme of conflict around money that you were unaware of until the astrology revealed it to you many years later. DKR: Yes, my husband was good at hiding things, but when I told him that I thought he had married me for money, he turned instantly as white as a sheet, so I knew it was true. We were together a long time – just over 35 years from when we married. We lived together from Nov. 1954 until summer 1976, about 22 years. Then we remained friends, but lived apart. Even so, we shared many social occasions with our children. We never divorced up until his death in Jan. 1990.
by Mitra, the deity of friendship, human solidarity, and respect for laws and treaties. The Libra planets are in a good house, the 9th house. You were married on a Thursday, Jupiter’s day, with retrograde Jupiter exalted in Cancer in the 6th house. Its close aspect to the Sun and Moon in Scorpio was crucial for the longevity of the marriage – though as you say, coming from the 6th house and aspecting the 10th house speaks more of a business contract than marriage, especially with Mars on the Ascendant. This is just looking at the marriage chart, and not at either of your birth charts. The Moon is newly waxing, thus invisible from the earth. The bride was also perhaps not really seen by the groom, or in the context of the marriage. You have described yourself as being “chained” in this marriage, and you related this to having your tropical Aries planets aligned with the figure of Andromeda, the Chained Woman. Sidereally, those planets would be in Pisces. In your Vedic birth chart, you have a Full Moon chart across the Virgo-Pisces axis: Sun in Pisces, Moon in Virgo. You have four planets in dual signs, along with the dual sign Ascendant. The dual (or mutable) signs give the most versatile person. DKR: Well, I do feel I’m very Piscean. It’s very hard for me to tell, because in the tropical I have Mercury-North Node and Midheaven in Pisces, and my Sun is in Aries. It’s very difficult for me to tell how much of it is sidereal (Sun, Venus and Mercury in Pisces), and how much of it is that I have three things there tropically. EH: Do you get insights in your dreams? Flashes of intuition at random moments? EH: I’d lay it on your three planets in Pisces: Sun, Mercury and Venus in the 10th house. Two of those planets relate to the physical body: the Sun and Ascendant lord Mercury. Albert Einstein also has Sun, Mercury, and Venus in Pisces, with Gemini Ascendant, same as yours, his at 19:28 Gemini, very close to yours at 19:20 Gemini, giving you both the Pisces Navamsa Ascendant, emphasizing the Pisces qualities. DKR: (Laughing) Oh, well go ahead and compare! EH: Einstein also has Saturn in Pisces, very close to Mercury. So in his case he was not talking until he was eight or nine years old. DKR: That wasn’t true of me. I was jabbering away from an early age. in the 4th house, as yours is, it is considered Dig Bala, or best possible angular house position. 2nd house of speech. For that matter, Sun is Dig Bala in the 10th house, so that too is a boon. DKR: Of course Moon is also mother. My mother was quite bitter that she was stuck with the whole responsibility of raising my sister and me. She worked (very hard) to support us. My sister was jealous of me but had to look after me while Mom worked. And I did have a lot of difficulties with my mother. She was a very controlling person. I think she may have been Sagittarius in both zodiacs. Anyway, I was not an easy child to raise, I’ll say that for her. But I had a lot of conflicts with her, and I also did a very Piscean thing, which was to try to disappear myself. Part of that is Pluto rising square my tropical Aries Sun. EH: So what would you do? How did you hide? DKR: It’s not that. I disliked myself, because I was constantly criticized. And I daydreamed a lot. The huge money arguments in the family just made life at home more wretched. I was fine when I was alone. I read a lot and daydreamed and built my own inner world. But it wasn’t too many years ago now that I realized my daydreams never contained Diana. Usually when people daydream, they daydream themselves in a love relationship, or a heroic deed, or something like that. Diana did not exist in the daydreams. I deleted Diana. I did not like Diana. And at one point in my life I had a very severe nervous breakdown. EH: Yes, you mentioned that. You said it was around 1966-67. And the fact that you had just entered Jupiter dasa is extremely important. (That was June 19, 1965 – for 16 years.) Jupiter’s rulership over Mercury extends the whole theme of sacrifice that is described by Pisces. This is emphasized even more so with Venus in Pisces, exalted there to the maximum degree, and yours is approaching that, within a few degrees. There is often a major sacrifice in life, often through love matters. And look at how you sacrificed a lot to stay in that marriage, and to stay close to your children. EH: No, but your children are involved with Venus, being the 5th house lord. DKR: It was a natural thing for me to say: “I’m not going to leave the marriage.” First of all he might have gotten custody. I just followed my instincts. And also, my maternal grandmother was an influence. She was a Catholic, from a Cuban family. She had a lot to do with my upbringing, because my mother had to work. My grandmother had Venus in Cancer on the Midheaven tropically. She was Catholic, Spanish-speaking, traditional, an archetypal matriarch, loving and warm. She also had the Leo pride. She had four children, ten grandchildren, and loved children. She had a chance to go to college (unusual at that time), but turned it down to have the traditional motherhood role. She was a role model for me, and she was the most nurturing member of the family. She married a German-Jewish medical student – Irving D. Steinhardt. Her name was Clara Aurora Luis, and she was born in Brooklyn, N.Y. of aristocratic Cuban parents. She was patrician, and very regal. Her father was a close friend of José Marti, who was like Cuba’s Abraham Lincoln. He was a medical clinician and a gun-runner for Cuba in the Spanish American War, when Cuba was trying to achieve independence from Spain. My grandmother Clara was torn between pride and embarrassment of her father, who was jailed as a gun-runner for Cuba. She married a German/Jewish medical student, as I said. He developed a medical practice in New York City as a pediatric orthopedist. He was also very active in the Boy Scouts, and ran a troop. He died in the 1940s. These grandparents born in the 1870s and 1880s were an important early influence for me. They probably contributed to my streak of conservatism culturally, though I am a liberal politically. disgrace, and cut her off totally. He barely had anything to do with me and my sister. EH: Back to Mercury and its connection to speech and language ability. Were you good at languages? You must have had other languages spoken all around you. DKR: I can mimic an accent, but I’m not good at languages and not good at memorization. My family didn’t want me to learn Spanish. Clara, my Cuban grandmother had five sisters who were always gossiping together in Spanish, and they didn’t want me to be able to understand what they were saying! One of the most repeated stories in the family was this one: After her marriage to Irving Steinhardt, Clara was at the butcher shop asking for a specific cut of meat. She overheard the staff saying in Spanish to give her some old piece from the back room. Since Steinhardt is certainly not a Spanish-sounding name, they obviously had no idea she understood until she let out a stream of invectives in Spanish that sent them running for their best possible cut! They never messed with her again. EH: What a great story! And one way of looking at Mercury in Pisces is as language or expression that can be used either to hide something, or to choose to reveal it, especially something which has not been generally known – such as Fixed Stars. Capricorn and so has a little more distance from Mercury, as it aspects the planet. It helps to focus the Mercury without stopping it. They are planetary friends, so Saturn can give some good structure and focus to Mercury, especially when one of them is ruler of the Ascendant, as is as your Mercury. You were saying that your mother worked after your parents split up. DKR: Yes. My parents split when I was about three or four years old. You see that with the Sun directed to Uranus (in my Western tropical chart). And my father was severely manic- depressive. I loved him. He was my handsome daddy, and he indulged me. But what did I know? Years later I understood he was utterly dishonest in money dealings. That was part of the disease, I think. And my mother was certainly right to divorce him. My father was terribly unstable, and when he went into a manic phase he was impossible. He wouldn’t sleep. He would talk non-stop, and drive everyone batty. He would borrow money and never return it. Later I found out he had never intended to return it. He was typical Pisces, probably sidereal Aquarius. And because he couldn’t hold a job, he stayed home and read all day long. So he was extremely well read, knowledgeable, and encyclopedic. And I think that side of me comes from him. Later in his life, people who knew him simply as a friend in a church group, or elsewhere, loved to go to museums with him, because he knew so much, and he was so entertaining as a raconteur. People said that at his funeral. And my kids adored him. They couldn’t understand why I suddenly blew up at him one day. They didn’t know and had never seen him in his worst phases. EH: In Vedic astrology, we look at the father as the Sun, but also as 9th house lord. (That is South Indian, which I use. North Indian prefers 10th house lord for father.) In your case, 9th lord Saturn is in the 8th house of loss. So there is the loss of the father in some way. DKR: By the time I was six I knew how unstable he was. It put a lot of pressure on me, because he would announce to everybody: “Diana and I have a wonderful relationship. We adore each other!” And I’m sitting there, hearing this, and thinking “No.” But I couldn’t say so. The family was enraged with him, and I was the only one speaking to him. I couldn’t do that to him. The Piscean sympathy and compassion came in there, and I just could not say to him: “No, Dad. That’s not true.” And so I was caught in the middle. EH: Oh my – very tough, especially for a young child…. Okay, let’s move on a bit and discuss another point in your Vedic chart. Have you heard of the term maraka? (pronounced MAH-ra-ka). DKR: No, I don’t think so. EH: Maraka is a Sanskrit word, and is something Western tropical astrologers don’t tend to like about Vedic astrology because it’s one of those more definitive associations – similar to the ones around many of the Fixed Stars. Maraka planets are considered “death-producing.” Length of life is not solely determined by Maraka, but it is a factor. There are different ones depending on the birth chart Ascendant. With a few exceptions, the 2nd and 7th house lords from the birth chart Ascendant are usually Maraka planets. Natal Moon is not assigned that role, and since that is 2nd house lord for Gemini Ascendant, only Jupiter, as 7th house lord, is Maraka for your Ascendant. are in 6-8 house relationship to each other. From this combination, we know there is going to be some conflict for you in matters symbolized by each of these planets, individually, and in relation to each other. with Jupiter, but it also describes some of the basic things about you, and these are assets as well, being mentally stimulated by so many things in the process of your research. You have mentioned the nervous breakdown you suffered soon after the start of your 16-year Jupiter dasa in June 1965: an overload of the nervous system. You spoke of a tendency to eat too much, and too many sweets. Jupiter is associated with sweet tastes, and when there is an imbalance, there can be either a lack of sweets or a craving for sweets, as in your case. That is on the physical level, which has set up a disease centered in your pancreas, whose job it is to regulate the sugar (glucose) level in the body, and to produce insulin in just the right amounts to control the constant level of glucose in the body. One’s physical well-being comes into sharp focus during the Dasa of the Ascendant lord of the birth chart, as do the matters over which Mercury rules. This includes communications, writing, and publishing. The Mars aspect to Mercury galvanizes it and sharpens the intellect and the ability to speak concisely and even with wit – which you have, but also with the possibility of controversy, since Mars adds heat and gives courage to speak out when needed. clarify and edit. Saturn’s aspect to Mercury can also bring delays, as it has done in the publication of your book, which you had hoped to publish several years ago – not an uncommon experience for authors! Jupiter’s connections to Mercury here give difficulties, but also many assets – including the tendency to have much to say, and to speak or write voluminously. Since Mercury is debilitated in Pisces, one goes through periods in life of feeling “less than” and at times victimized. What lifts up this Mercury, and provides corrective action for it is its proximity to exalted Venus, within four degrees of its maximum exaltation. This creates what in Vedic astrology is called a Neecha Banga Raja yoga. The planet (in this case Mercury) starts from a place of disadvantage, and then gets elevated over time. You admired the knowledge your father had, and tried to emulate it. But in this case, the reason he was able to read so much and broaden his knowledge was because he couldn’t hold a job. This provided some early conflict for you around knowledge itself: What is it good for? Though Mercury is debilitated, Venus gives it some correction, but does not entirely remove the affliction. However, this yoga can elevate the person to a higher level of understanding and compassion. A higher status and level of achievement is implied. In your case, Diana, you have described in your life story how you were unable to get a higher education, but also in many ways you were resistant to it, and refused to study what you were supposed to study. Your father’s example taught you that knowledge could be problematic. Nor did you trust the Master’s degree your mother had attained. Since Mercury for Gemini Ascendant also rules the 4th house of education, home, and mother, we know these may be some problematic issues, especially with Mars dasa running from ages 7 to 14. Tell me about your education, all of it in New York City. Yes? was either suffer without them, or take them and fall into a heavy, drugged sleep. Not only that, but I had some unpleasant experiences at college, and then I had a bad fall down a flight of stairs and landed in the local hospital. I think I may have – subconsciously – done that to myself. I had to get out of there. married at 21, got pregnant at 23, and that was the end of my ballet “career” – though I did get enough training to be able to teach later on. You distrusted academia, and you preferred the world of performing arts to that of academia. You chose the world of dance and ballet in particular, which gets special attention in Pisces, ruling over the feet, and also in the 3rd house in Vedic astrology. Six out of nine of your natal planets are in one of these two (whole sign) houses: Pisces or Leo. You pretended to be years younger to qualify, which is another shifting quality that Pisces (or any of the dual signs might have), especially a dual water sign – which is more emotional than all the other dual signs. This was your escape from a more rigid and conventional education, which you rejected in part because of your experience in that setting and because of your mother. Though she was a good student, her diligence didn’t impress you. DKR: Yes, I always assumed her Master’s degree was in Literature. Only later I accidentally discovered it was in Psychology. (She was cleaning out a closet one day and I saw the framed diploma.) My shock was so great, I began to giggle and then laugh hysterically. She had no idea why. My mother, a control freak who couldn’t get along with anyone in the family for more than two minutes and was considered to have a “personality disorder” – she had a Master’s in Psychology. From that moment on I recognized that academic credentials mean very little. Yes, they do show that you worked hard to get them, and I do respect that, but they are NO guarantee of superior knowledge! And in order to get them, you have to toe the academic line and spout back to the professors what they want or expect to hear. Forget astrology, psychic research, the psychological roots of disease, karma, etc. I think Uranus conjunct Sun makes me too independent-minded to settle into an academic routine. EH: Apropos the need for freedom from a rigid education, I tend to see it in the context of a controlling mother (Moon in the 4th house) and education (also Moon in the 4th house, ruled by Mercury in Pisces, in turn in conflict with Jupiter, ruler of Pisces.) Later on, the job you had for the longest period of time was as a dance teacher, and later on as a legal proofreader. DKR: Yes, I worked as a Dance teacher at the YMCA’s Morningside Dance Center in Manhattan in the West 60’s Lincoln Center district – a thriving area for the performing arts. I loved it! I was never good enough to dance professionally, but I loved teaching the kids. I taught ballet there for about 10 years, between 1965 and 1975. I know that I left the Dance Center when transiting Saturn hit my 2nd house cusp (Western tropical chart), and that was in 1975. I had seen that coming and saved up some money, luckily! After that I was a legal proofreader, and later an astrologer. I’ve always been “a night owl.” In the late 1970s while I was studying astrology I worked as an all-night legal proofreader in the Wall Street business district. EH: Back to the topic of physical health, notice how in the 16-year Jupiter dasa, you had nervous system issues. Jupiter dasa came from June 19, 1965 through June 19, 1981. You said it was soon after the start of Jupiter dasa in June 1965 that you had a nervous breakdown, and even had electric shock therapy. This is related to the Mercury-Jupiter contact and to Mercury debilitated in Pisces, being at times overly empathic, taking in too much. In any case, Jupiter is pushing your boundaries to the maximum. In the realm of Fixed Stars, you don’t want to be limited. Nor in any field of study that interests you do you want to be limited, even if your own sense of it is that you want to find things out for yourself. remember, in the 1960s. There was a Uranus-Pluto conjunction. made a wide opposition to your natal Mercury and MC, but was much closer (2 degree orb) to your natal Jupiter. Note too that in the Vedic system, Jupiter was your Dasa lord from June 19, 1965 for 16 years, and is connected to your Ascendant lord Mercury through the Vedic circuitry I have described. As Dasa lord, Jupiter has center stage, so to speak. In Vedic terms, Jupiter has a larger than usual influence on the affairs of your life, and we’d have to say its impact is already over-sized. Then the dasa of this planet comes along, and when that happens, it is THIS planet whose karmic fruits are delivered at this time. Those karmic fruits depend on how Jupiter is configured in the chart. We ask: What is the planet bestowing you? And we would have to say Jupiter is bringing you some good things, but also the fruits of the difficulties of that expansion. Jupiter is also with Ketu and Mars. Ketu (the South lunar node) is Mars-like, and being an eclipse planet it tends to destablilize whatever planets are in close contact to it. So for instance, with the sugar intake and the sugar (glucose) balance in the body – that’s out of whack. DKR: Well, Neptune is on my South lunar node. EH: Yes, but even without that, or any of the outer planet transits, we’d say that Jupiter dasa is alerting us to a lot about the physical body – since Jupiter owns the sign and nakshatra where Mercury is situated. You entered Jupiter dasa June 16, 1965. And even though it’s a 16- year period, we can identify the period within that dasa when any of the planets in Leo with Jupiter (Mars and Ketu) are interacting with the three planets in Pisces (Mercury, Venus, and Sun) – especially Mercury, for your physical and/or mental health. During Jupiter dasa, it was more about your nervous system and your mental and emotional equilibrium, which is also connected with Mercury. When you entered Mercury dasa on June 19, 2000, was there already something a little more delicate about your health – from that time onward? DKR: I can’t remember anything off-hand. EH: Okay, but then you don’t really enter a more difficult sub-period within the 17-year Mercury dasa until you enter either Ketu, Mars or Jupiter sub-period. This is because they are all in the 6th house from that natal Mercury. So you have sub-periods within Mercury dasa when all the Jupiter-Mercury questions come up, and those heavily weighted karmic fruits come due, according to Vedic principles. Your three planets in sidereal Leo are all within 14 degrees of each other in the same sign. Mercury-Ketu dasa didn’t show too much yet. It was followed by Venus, which is your best planet, so its sub-period would be bound to be good. That ran from Nov. 13, 2003 through Sept. 13, 2006. The next sub-period was Sun, which relates to your physical health. Here below is the entire sequence of sub-dasas within the 17-year Mercury dasa. 2009), and conflicts and problems around getting your book to publication. opposition, and puts a lot of extra pressure on your physical vehicle. through Dec. 16, 2009. This one year sub-period would be described in advance as very challenging. DKR: That’s an amazing system. EH: It is. And this is not dependent on transits, eclipses, or any other astrological factors. And if you would like me to include this chart analysis in the interview material, I can do that. DKR: Yes please. I am fine with it, as long as the editor wants it. EH: I’m pretty sure that will be fine. And my guess is that he will see it as a privilege for the rest of us to be able to share your chart and your concerns – especially at this time. As all of us get older, we can choose – or not choose – to share our feelings and thoughts as we approach the end of this particular chapter. You have been very generous in sharing yours. DKR: Well, I’m delighted with the opportunity. EH: We should close now, but let’s have you share your response to receiving this “Life Time Achievement Award” from Saptarishis Astrology magazine! This is in recognition for your all your distinguished work in Fixed Stars. DKR: I kept saying “Wow!” I feel so very honored by this award. In my whole life, I have never received an award, and now, to have such a remarkable one conferred upon me goes beyond my wildest dreams! My love and gratitude goes out to Saptarishis Astrology magazine for this great honor. I do not feel worthy of it, but the fact that they think I am worthy of it makes it all the more wonderful! DKR: Here’s an interesting story: In 1936 a Nova appeared. And they called it Nova Lacertae 1936. But when I saw it on a sky map, I thought: “That’s the crown of Cepheus the King!” It was right on the border between the two constellations, but slightly more towards Lacertae. And knowing that Lacertae is modern, I thought: “I’ll bet that’s part of the original figure of Cepheus.” And sure enough, an old map showed that the Nova was part of the crown of Cepheus the King. And in 1936 the King of England abdicated, and there was a new king. (“Nova” also means “new.”) This is the kind of thing that I delight in! Cepheus the King constellation is in the northern sky, and dates back 23 centuries. It was recognized by the Chaldeans, and is one of the oldest constellations in the night sky. 1896! She was the key reason why he abdicated, since as a twice-divorced woman, a commoner and an American – she was unacceptable as his royal Consort and created a Constitutional crisis when the King was pushing for this outcome. EH: Did you get NCGR (National Council of Geocosmic Research) certification, or any other type of certification in astrology? Or did that not appeal? DKR: I never did get beyond that NCGR Level One. (There are four levels.) By then I was using a computer, and I would have had to go back and re-learn calculations, and there were just too many other things I wanted to do more. So no – no other certification. Reading has always been the best way of educating myself, I think. I was invited to speak on Fixed Stars (also Derived Houses) at the 1st UAC in San Diego (1986), and have been invited to every UAC (United Astrology Conference) since. I was also usually asked to speak at the NCGR Conferences. EH: How did you get into Fixed Stars? right then, “he said. “Aries leads. You’re Aries, Diana. You go first!” (Charles had the Sun in tropical Leo, with sidereal Leo rising, and usually got his own way.) We thought that was sort of silly, but Carol and I looked at each other, shrugged, and went along with it. Charles nodded sagely and murmured “Aries leads the way.” I said, “Oh Charles, everyone knows the Dipper is in the North!” He said: “I didn’t know!” Soon after that, I managed to get us on the right track, and we found our way back. Astrologer, researcher, lecturer, writer. Astrological studies began in Feb. 1975. Fixed Star research from around 1980 to the present. Husband Werner Rosenberg (born Dec. 6, 1923, Berlin, Germany. B.C. says 3:00 AM. DKR rectified it to 2:47 AM). Werner was a Holocaust survivor. He lost his grandparents and several other relatives. He also lost the chance for college because of the war. His family escaped to Shanghai and lived there in poverty until after the war when he managed to get to the US. In Shanghai he apprenticed to a typewriter repairman, and once in the States, he set up his own business and handled a variety of business machines until everything turned electronic. At about the same time, he became very ill with heart disease and cancer, and died at age 66. His appearance was that of an artist or a writer, not a businessman, though he was intensely focused on money. Marriage date and time: Nov. 25, 1954, 12:20 PM EST (time approx. ), New York, N.Y. They lived together from Nov. 1954 until summer 1976, about 22 years. Though they lived separately, they remained friends, and shared many social occasions with their children. They never divorced up until his death in Jan. 1990, a span of just over 35 years from when they married. Son Peter Rosenberg, born Feb. 11, 1957, 17:34, Manhattan, NY. Peter is a computer expert and works in Media technology for NBC (National Broadcasting Company). He received an Emmy award for his work at the Beijing Olympics. He is divorced, with one son. Lives in New York City. We at Saptarishis Astrology wish to thank Diana K. Rosenberg and Edith Hathaway, who in spite of her busy schedule due to her active life as a professional astrologer, gave more than five months to this project that is very dear to our hearts. This interview in its pristine high quality would not have been possible if not for the patience & selfless dedication of Edith Hathaway. Sanathana Dharma Charitable Trust, Bheemunpatnam (Andhra Pradesh), India.